Technology has been the human’s best friend since a very long time. We live our day to day life with the aid of technology it doesn’t matter whether big or small but it is has its impact on our life. We are so indulged in to the technology that it has become our fest friend, best source of entertainment, best weapon, best line of defense and many more such best things. This technology also gave us a better and faster means of communication in form of telephones, telegrams, e-mails, internet and mobile phones. The invention of mobile phone was not less than a blessing for the humanity. It achieved the undesirables and impossible and brought it to the palm of our hand. In the modern world mobile phones have become a habit and not some small habit but a must have habit like it is must to have food to survive and keep our body running in the same very way mobiles has become the necessity of our lives and now that we are talking about mobile I have a favorite and you would not be surprised to find out that it is none other than the ASUS Zenfone 2. The phone also has a 2.3 GHz quad-core processor aided with an intel inside. The ASUS Zenfone 2 is the must have gadget of the millennium and one of the best or should I say one and only Smartphone of its kind. It is the best of the best one can get in each and every term that a cell phone could be categorized into. The phone has everything at its best and has become an addiction for me. It can fulfill the needs of any category of user without even breaking a sweat. It has a wide and big screen 5.5 inch display with 1080x1920 display which can change the movie watching experience of its viewers and also it adds an extra edge to the gamers and hackers. 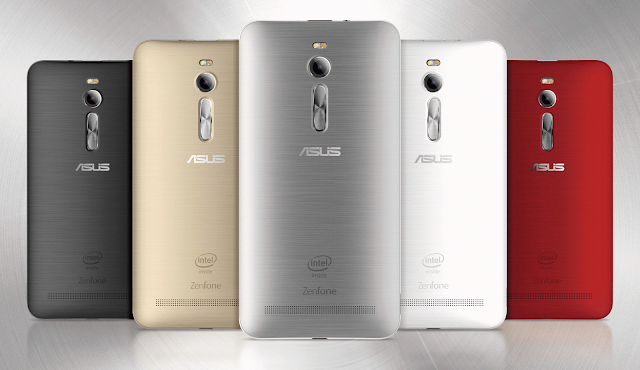 The phone is compact with a 4 Gb RAM and for your general facts ASUS Zenfone 2 is the only phone which runs on a 4 Gb RAM. The large 32 Gb memory capacity also makes the phone invincible and helps the users to store large numbers of pictures, videos, games and other important data in the phone and also this memory can be extended and it increases the volume of the phone. This phone has got a fantastic image capturing equipment with a rear camera of 13 mega pixels and front camera of 5 mega pixels which completely changes the image capturing viewing experience of the user. The phone is a master class in itself and I simply love it. ASUS Zenfone is a must have gadget and it should be on every ones wish list. The elegant design and the sleek look of the phone have the capacity to catch the attention of any mobile lover. The features of the phone are mesmerizing too and every one can fall in love with the phone in one look. A techi could not ask for a better piece of machine and at such affordable cost. So if you have not got an ASUS Zenfone 2 for you now is the time, get one and enjoy the liberty of being an ASUS Zenfone 2 user. It is definitely a classic and my favorite and should be on everyone’s wish list. sounds like a fabulous mobile!